Cook's Garden Favorite. Just add color. Mix includes four different kale varieties: 25% 'Lacinato', 25% 'Winterbor', 25% 'Redbor', and 25% 'Dwarf Curled Vates'. Kale is just about the most nutritious thing you can eat, and can be prepared in an array of ways: fresh in salad, cole slaw, or pesto, or steamed, sautéed, or added to soup. Have a juicer? Mix kale with apples, carrots and a squeeze of citrus for the healthiest drink ever. 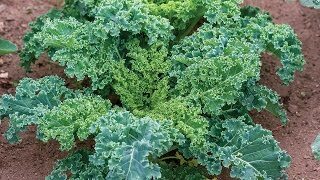 Packed with 45 different flavonoids, kale is reputed to lower cholesterol, help detoxify the body, counter inflammation, and boost immunity. 60-90 days. Kale, Blend is rated 3.0 out of 5 by 2. Rated 4 out of 5 by gavitin from Im very anxious but so far so good!!! They appeared very soon and are growing very well, im so happy. So far so good! thank you. Rated 2 out of 5 by JanL from Kale Blend The kale is struggling, I assume due to the North Carolina heat and sandy soil. 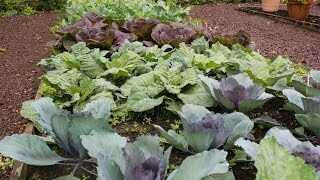 I recently moved to this zone and have already determined that I will need to amend the soil further next spring because the kale and radish seeds I planted need more nourishment. The stems are pretty weak. I am still hoping to get a yield by "babying" the plants along.